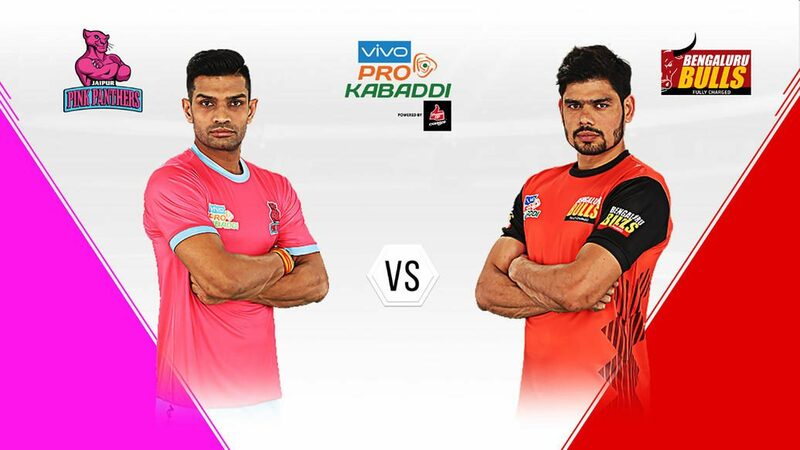 Jaipur Pink Panthers go up against Bengaluru Bulls in their last league game of the season at the Netaji Subhash Chandra Bose Indoor Stadium in Kolkata on Thursday. A win for Bengaluru Bulls in this Inter-Zone Wildcard Match will assure them of top spot in Zone B. 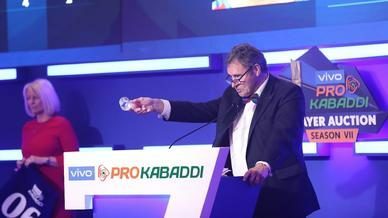 The two sides met for the only other time this season in Ahmedabad where Bengaluru Bulls won the game with a 13-point margin. 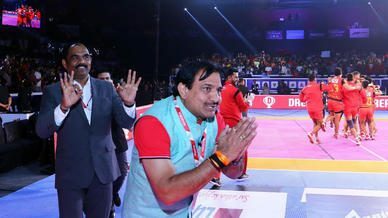 Pawan Kumar Sehrawat starred with 19 raid points on the night for Bengaluru Bulls while Mahender Singh managed a High 5. Deepak Niwas Hooda returned with 11 raid points for Jaipur Pink Panthers. 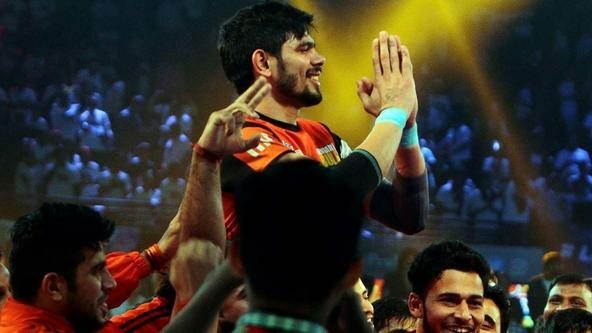 Deepak Niwas Hooda has eclipsed his best raid point tally in a VIVO Pro Kabaddi season, having scored a career-best 183 raid points in 21 games, putting him sixth amongst this season’s raiders in terms of points scored. Hooda averages a Super 10 every 2.33 games, having scored 9 this season, another career-best haul for him. 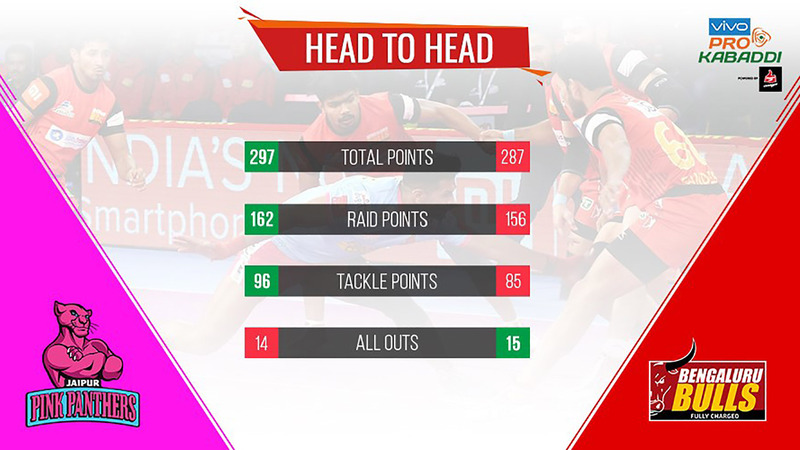 The only Jaipur Pink Panthers player to score a Super 10 more than once this season, the onus will be on Hooda to lead his team’s offence against an in-form Bengaluru Bulls defence. Mahender Singh is one of only 14 players this season to manage 50 tackle points this season and has done so for the second successive season. 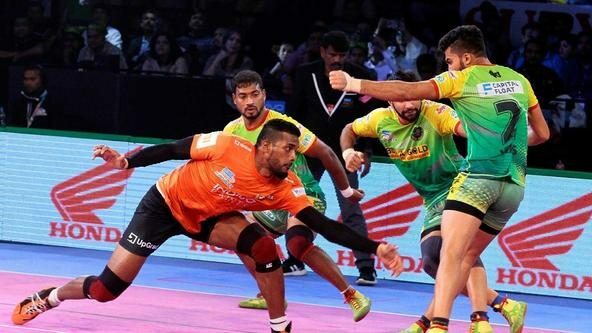 Singh has the ability to pull off big tackles at crucial junctures in the match and he has admirably led Bengaluru Bulls’ defense, managing 15 tackle points in his last five games. Scoring at an average of 3 tackle points a game, Sandeep Dhull is the league’s fifth best defender, managing 63 tackle points from 21 games. 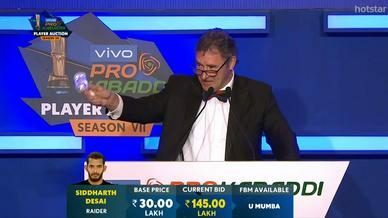 Dhull managed 3 tackle points when the two sides last met and will once again be up against Bengaluru Bulls’ raiding trio of Pawan Kumar Sehrawat, Rohit Kumar and Kashiling Adake. Pawan Kumar Sehrawat has had a stellar campaign for Bengaluru Bulls, amassing 220 raid points from 21 outings, the second best in the league. Sehrawat scores his points at 10.55 raid points a match and averages a Super 10 every 2.1 games. Having returned with 19 raid points in the previous encounter between the two sides, Sehrawat will be raring to go once again as he seeks to lead his team to top spot in their zone.